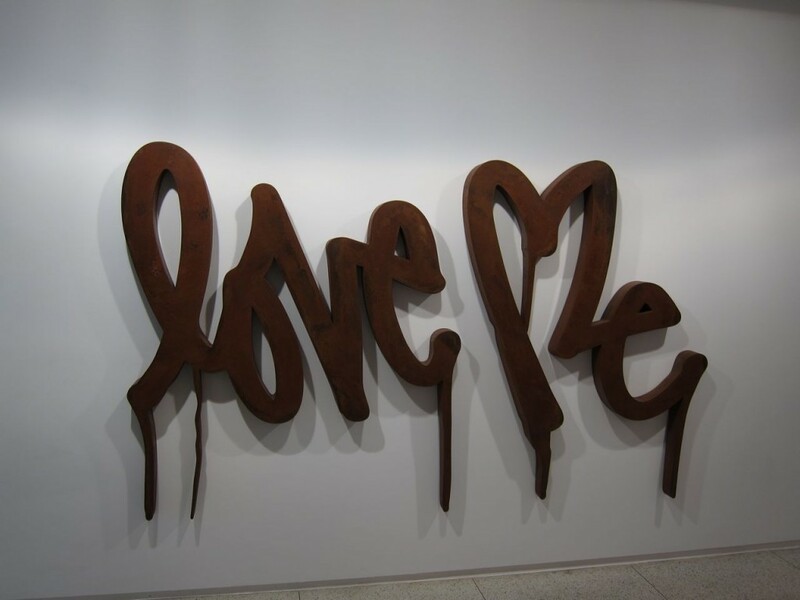 Curtis Kulig, Love Me (Steel) (2011). All photos on site for Art Observed by Daniel Creahan. 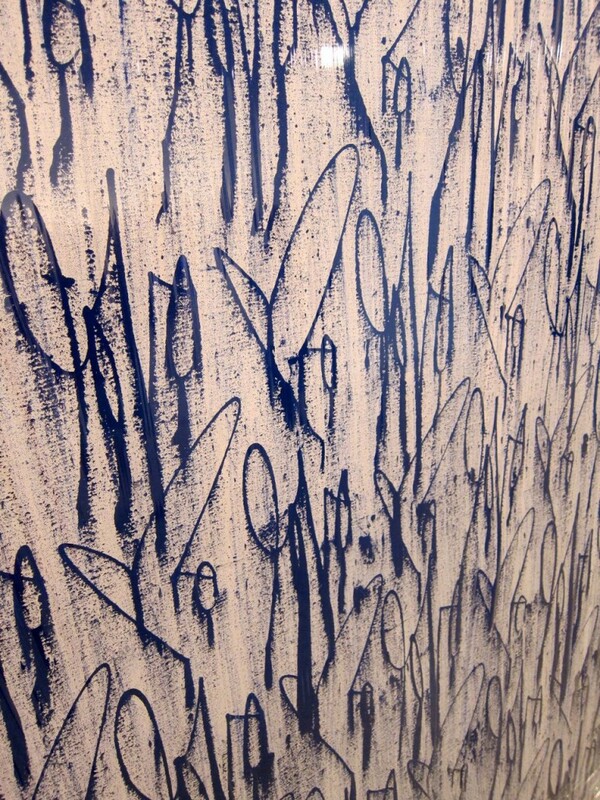 Over and over again, the two words, “Love Me,” are repeatedly scrawled on the canvasses of Curtis Kulig, the street artist best known for emblazoning this simple cursive ‘throw-up’ all over New York City. 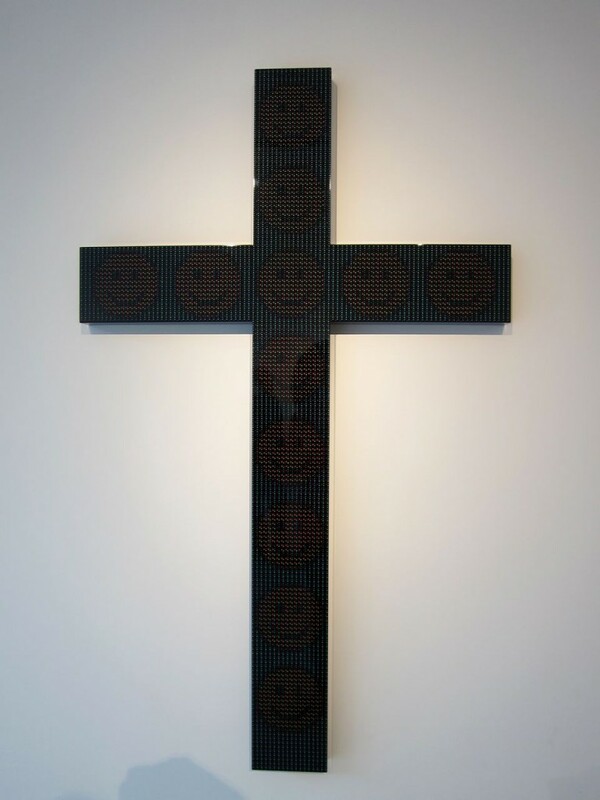 Viewed next to the faux-LED crosses and blatant consumerist imagery of his long-time friend and supporter Skullphone, they begin to take on a hint of desperation, a plaintive plea in a world inundated with brand-names and electronic simulacra. 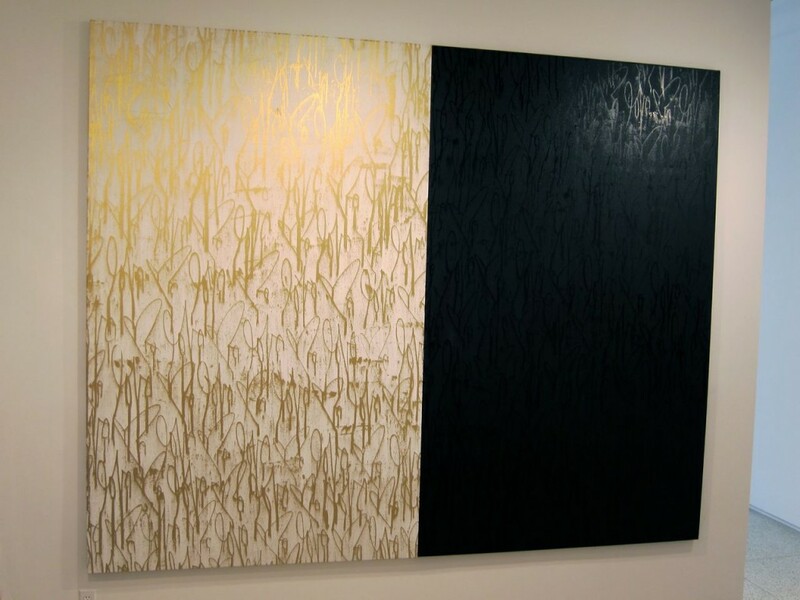 While the two artists have supported each other for over 7 years, Scripture, now showing at the Mallick Williams and Co. Gallery in Chelsea, is the first documented collaboration between the two artists. 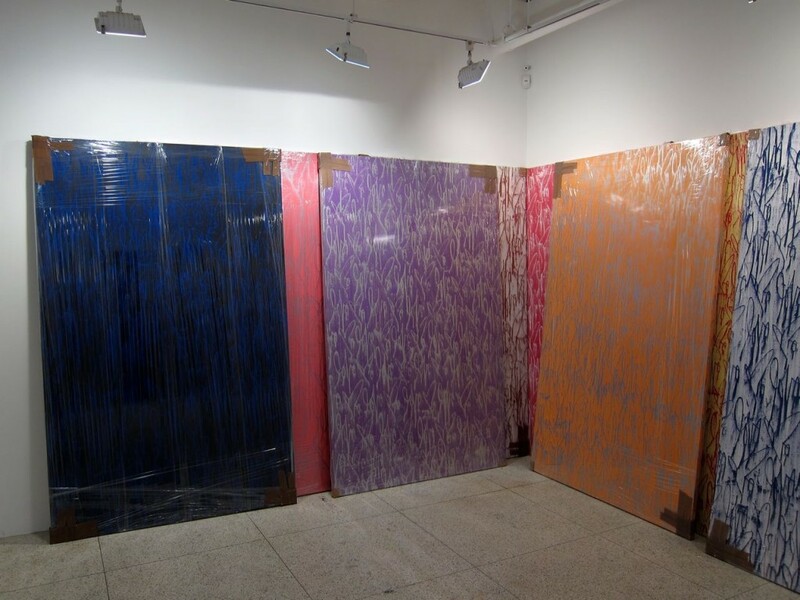 Regardless of the precedent, however, the installation sees Kulig and Skullphone pursuing techniques that the artists have explored in past work. 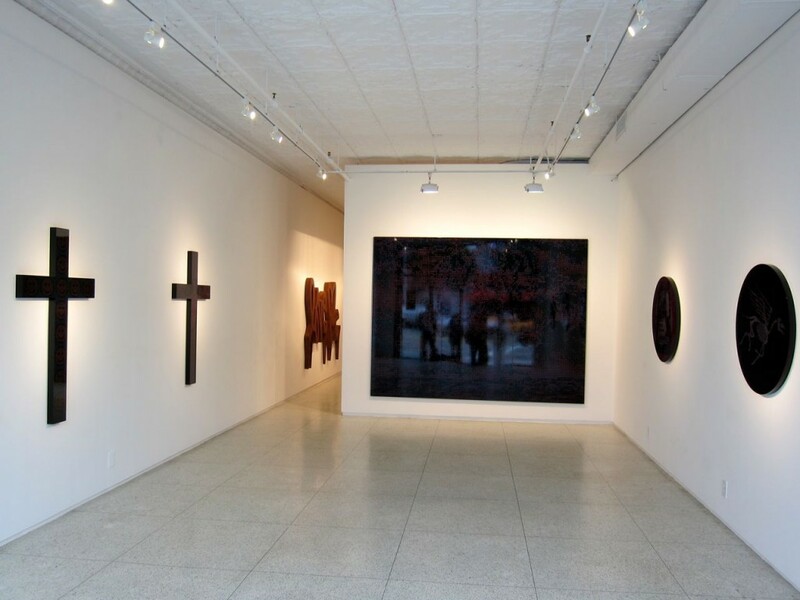 Installation view from entrance. Attendees are greeted with a number of Skullphone works, with Kulig’s work hinted at in the back room. 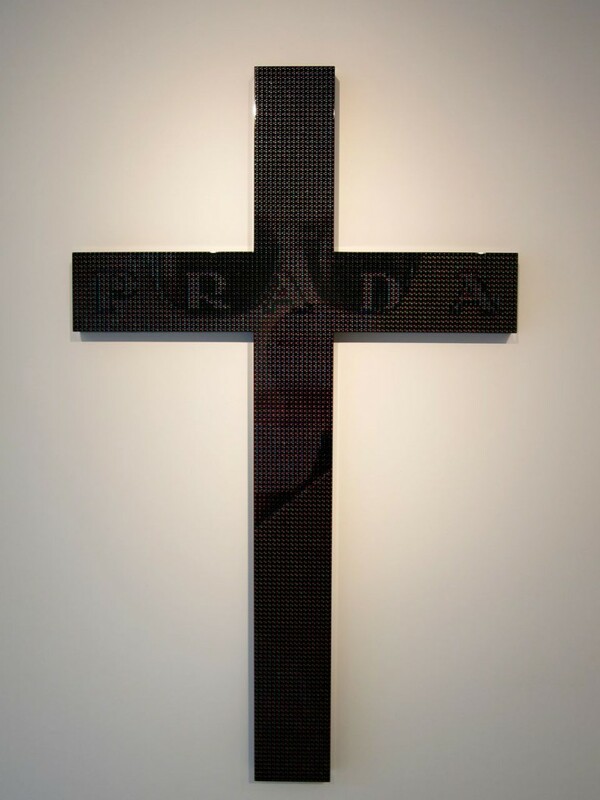 In the first room of the show, Skullphone pointillistically mimics the red, blue and green lighting arrays of LED screens is shown through a number of black aluminum crucifixes and circular discs, using the colors to create a mix of biblical and consumerist imagery (Prada, Mobil Oil, Smiley Faces, the Crucifiction, etc.) 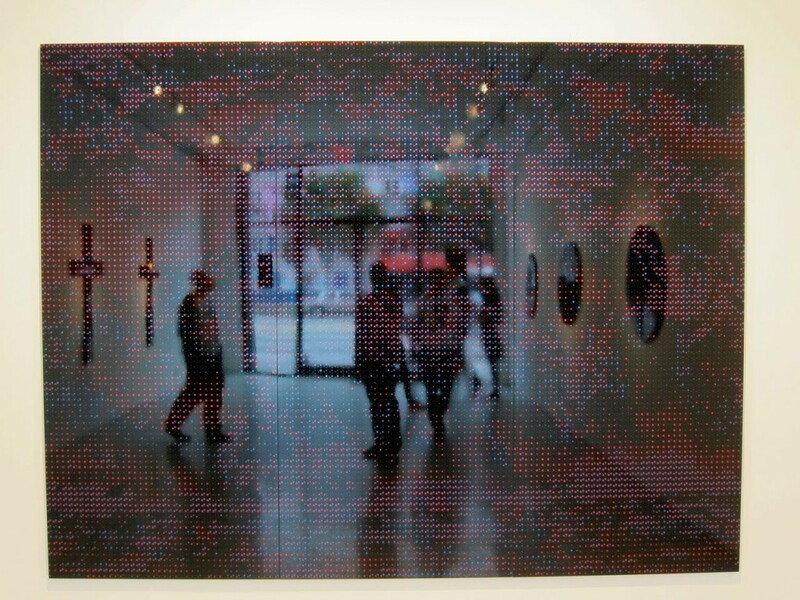 that devolve into a grid of dots as the viewer gets closer. 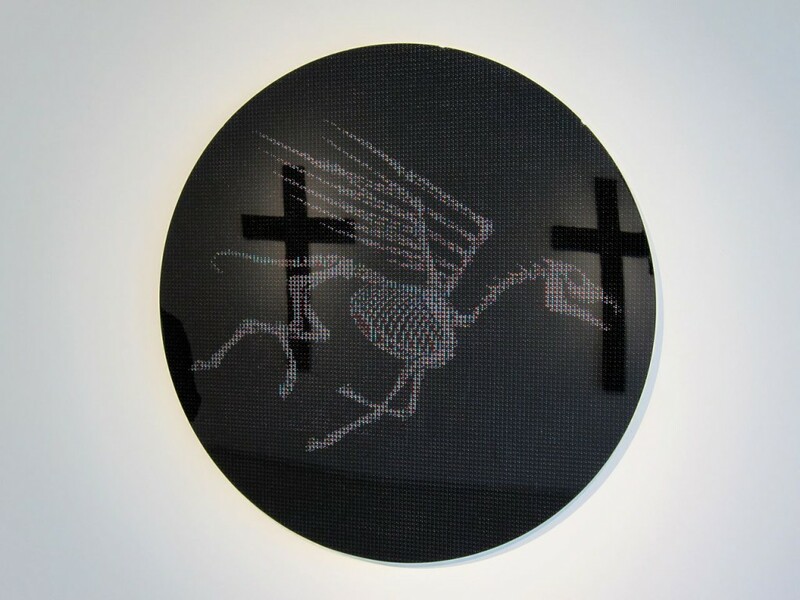 Running in parallel, the images also interact with each other, with some pieces ominously reflecting the stark outline of crosses behind the viewer while foregrounding the skeletons and brand-names portrayed. A large end-piece reflects the viewers in the gallery, effectively reflecting the gallery on a large screen. 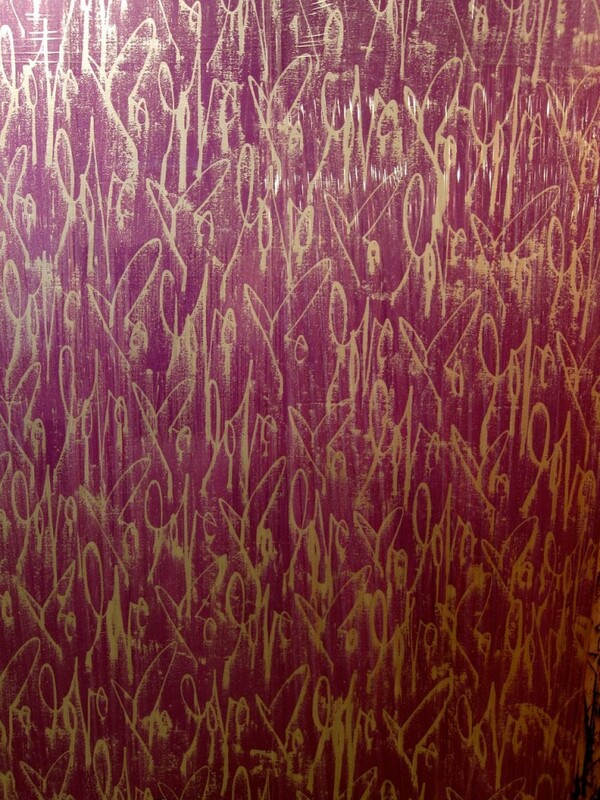 Similarly, Kulig continues his on-going use of the ‘Love Me’ tag, using his loopy handwriting and stylized, heart-shaped ‘M’s to create enormous, textured patterns on his canvases. 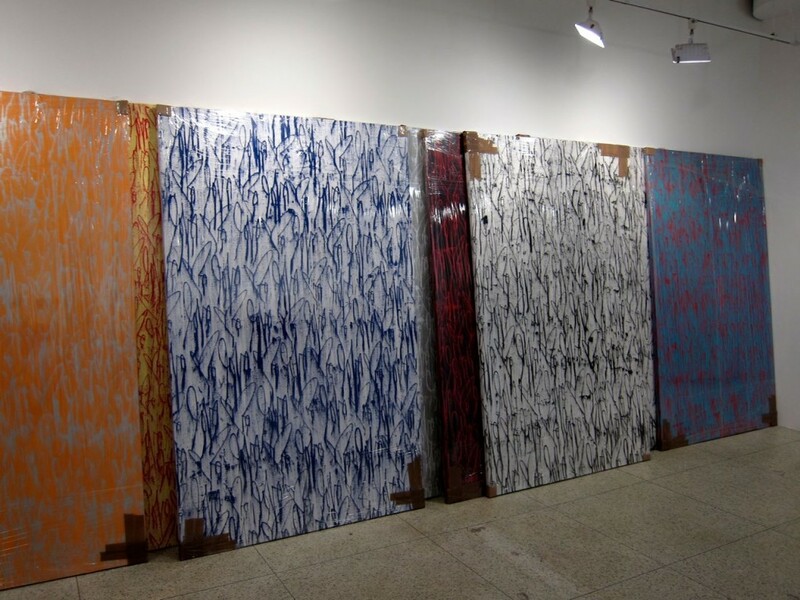 This approach is repeated in a number of color combinations, with Kulig taking his commentary on mass-producible art to the next level, keeping the enormous canvases shrink-wrapped and piled in one corner of the room. The casual visitor is left to wonder if the works had arrived late, or if they perhaps were not supposed to be in the second room to begin with. 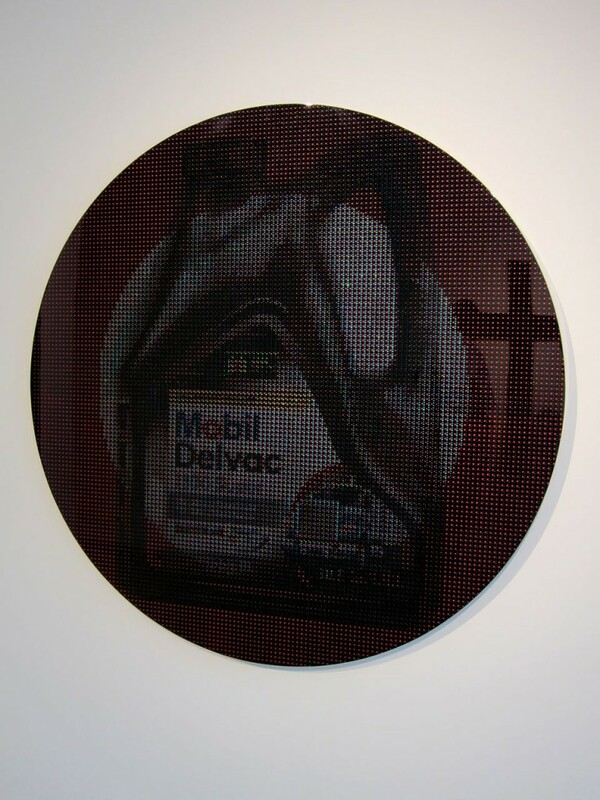 Taken as a whole, the dark, pleading nature of Kulig’s pieces, almost hidden away in the backroom, creates a dialogue between the clean, efficient advertising imagery Skullphone presents up front, exploring the nature of symbolism and identity in American consumerist culture. Mr. GAVIN: Absolutely. One of the more insidious practices is called a dictionary attack, where a spammer will simply pick a domain name, like @aol.com, and then try every successive combination of letters and numbers at that domain name. One of the reasons why this is such a destructive practice is that first it hits everybody in that domain indiscriminately; and second, it ties up the bandwidth and the processes of the ISP, which just raises the economic damage to that ISP and to its customers incrementally. Mr. GAVIN: There are a number of different filters, and filters exist at a number of different levels. For the ISP, you know, for an enterprisewide filter, there are numerous commercial filters, there are numerous publicly available block lists that each have different types of content, and I think at last count, there were somewhere on the order of in excess of 400 publicly available block lists, all with different criteria, all that block different types of systems, such as networks that are inhabited by known spammers, open relays, which are mail servers that are so insecure they can be used by spammers to bounce messages and disguise their actual origin. And ISPs will determine what has the best mix for them. 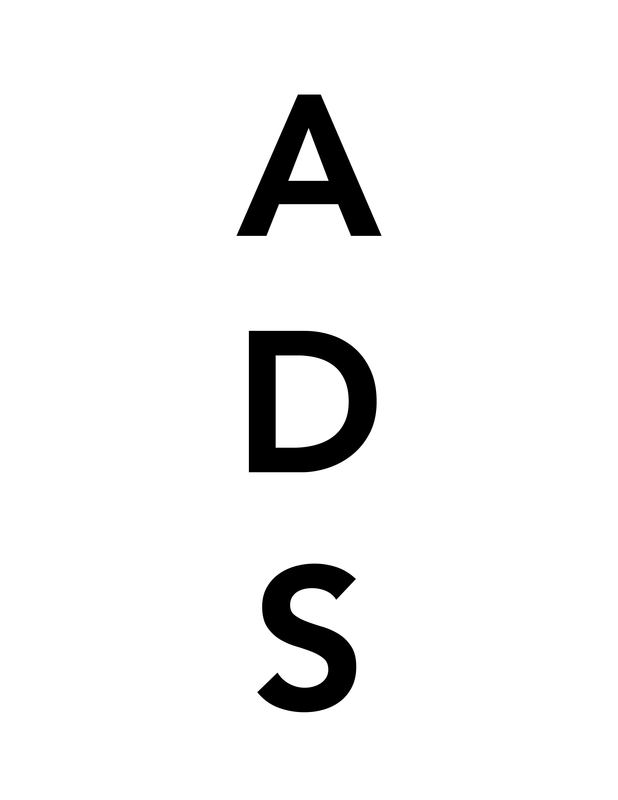 This entry was posted on Saturday, October 29th, 2011 at 1:32 pm	and is filed under AO On Site, Art News, Go See. You can follow any responses to this entry through the RSS 2.0 feed. You can leave a response, or trackback from your own site.